Today, the Supreme Court heard oral arguments in Hobby Lobby Stores v. Sebelius. But why debate interpretation of Citizens United when the flaw in the appellant’s argument is glaring. 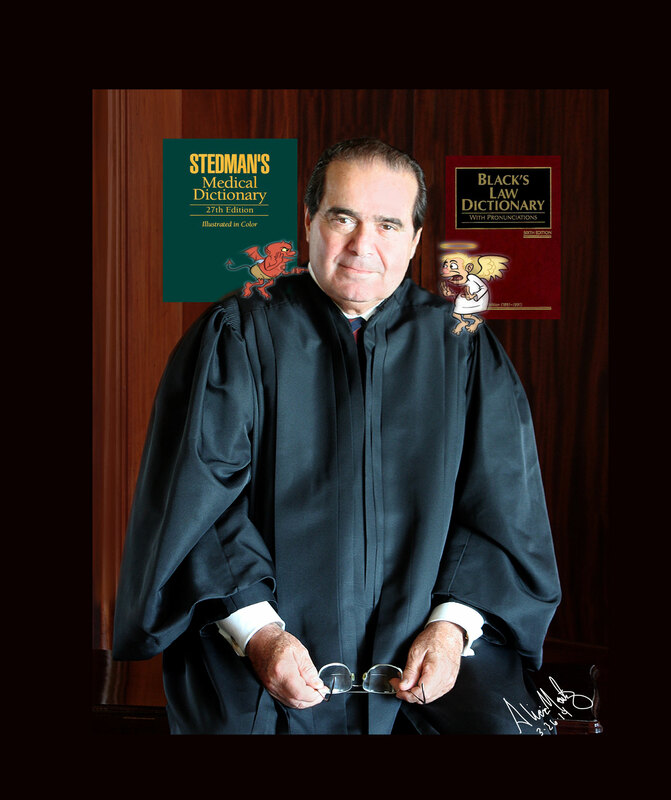 As a textualist, Justice Scalia knows the importance of each word better than anyone, why he chooses to ignore them is the prerogative afforded only to Supreme Court Justices. Here is his deliberate mistake. Stedman’s Medical Dictionary (the dictionary of choice for doctor’s everywhere, but clearly not for Supreme Court Justices anywhere), defines conception as ‘the onset of pregnancy, marked by implantation of the blastocyst into the endometrium.’ The translation of this is- conception is when a fertilized egg is implanted in the wall of the uterus. Problem solved, end of story. Plan B is contraception not the pharmaceutical abortion pill RU-487. Plan B effectuates change in the uterine mucosa preventing release of an egg, fertilization of an egg or implantation in the uterine wall of an egg. IT CANNOT STOP AN EXISTING PREGNANCY! Therefore, Hobby Lobby needn’t be concerned about ‘ending human life after conception’ because that will NEVER happen with Plan B.
I am sure Mr. Scalia is a whiz with Black’s Law Dictionary but when it comes to a textualist interpretation of anything pertaining to medicine (ie abortion), Justice Scalia drops the pretext of strict constructionist and favors his own interpretation of scientific data.